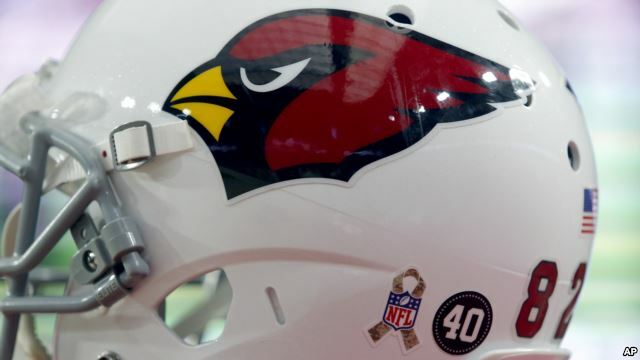 The Arizona Cardinals of the U.S. National Football League have hired the first female coach in the league's more than 90-year history. The team announced Monday that head coach Bruce Arians will bring in Jen Welter to coach the Cardinals's linebacker unit during the upcoming training camp and preseason as an intern, or apprentice. Welter is a former college rugby player who played 14 years as a linebacker for the Dallas Diamonds franchise in the Women's Football Alliance. She made history earlier this year when she was hired by the Texas Revolution in the Indoor Football League to coach the linebackers and special team units, making her the first woman to coach in a men's professional football league. "Coaching is nothing more than teaching," Arians said on the Cardinals's website about Welter's hiring. "One thing I have learned from players is 'How are you going to make me better? If you can make me better, I don't care if you're the Green Hornet, I'll listen." Welter also made history in 2014 when she became a running back and special teams player for the Revolution, making her the first woman to play a non-kicking position in a men's football league. She is the second woman to be hired as a full-time coach in one of the four major professional sports leagues in the United States, following last year's hiring of Becky Hammon as a full-time assistant by the National Basketball Association's San Antonio Spurs. The NFL will also witness another breakthrough for women in the upcoming season, when Sarah Thomas takes the field as a full-time game official.